Alvi the alveolus is my name, and air intake is my game. When you want to run and jump, I open up and prime the pump. I mix the air into your blood, so keep me clean and be my bud! To learn more about me, go to the air sacs and air exchange section of this website. © Copyright 2011 Tom Rolain All Rights Reserved. 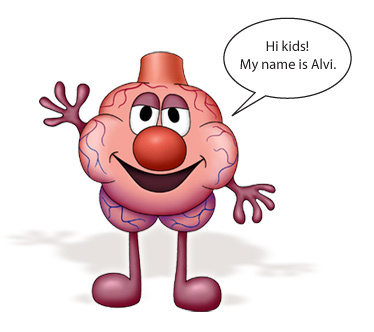 "Alvi the alveolus" appears courtesy of the American Lung Association in Wisconsin.